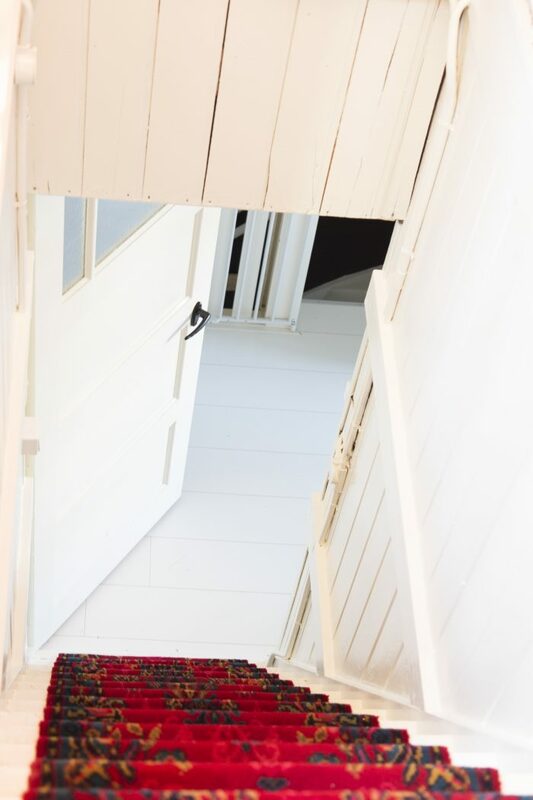 A new renovation update on the blog, yay! We had a little renovation break this last few months because we really needed it. Almost going into year 4, it was time to take a step back and simply enjoy the house as we made it. Especially with a 2-year old toddler running around, finding time to renovate isn’t always easy. We don’t want to leave her with grandparents every weekend, so reality is that we don’t renovate half as much as we want to. But that’s okay, that’s life! A few weeks back we decided we would start again, and this stairs was our first project. After that, we have a room left in the attic to renovate (really excited about that one!) and after that a utility room downstairs. Especially that last project will be a big one, but we’ve been making some plans and we keep our eyes on the prize, because it will make our house so much more comfortable. Now let’s get back to that rug. Isn’t it amazing? Some time ago I saw my friend putting it up for sale on Facebook and I knew my husband would love it too. It was from her grandmothers so I loved the story behind it as well. 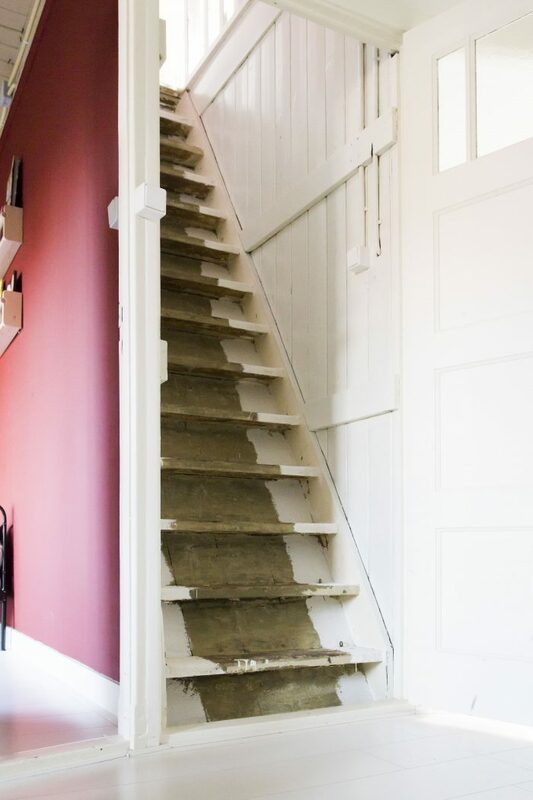 We hadn’t really made plans for this stairs, but I knew this would be perfect. So, we bought it from her and it spend some time laying around the attic before we were ready to install it. Sadly I don’t have a before-before pic, where it showed a dirty sisal rug and plastic paneling (really!?) on the walls. It wasn’t pretty and most of all, very unpractical. I feel sisal is very pretty to look at, but it’s so painful on your bare feet. With this stairs being very old, it’s quite narrow so it meant your ankles were constantly tortured by sisal. No way Jose, it had to go. We removed the sisal carpet and were left with this green stairs. 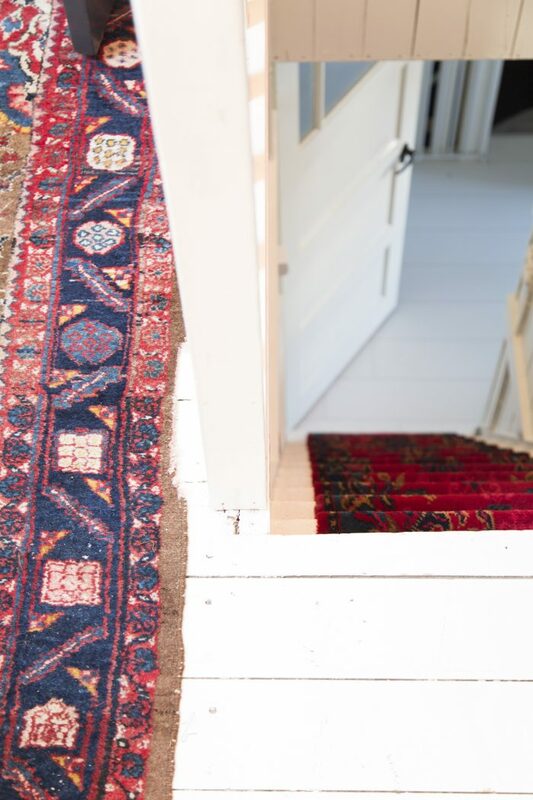 With no idea what we wanted to do with it, it was like this for a few months, but then I found that persian runner. We knew the runner would be a bit smaller than the actual stairs, so we painted a part white, just enough for the runner to cover the rest. 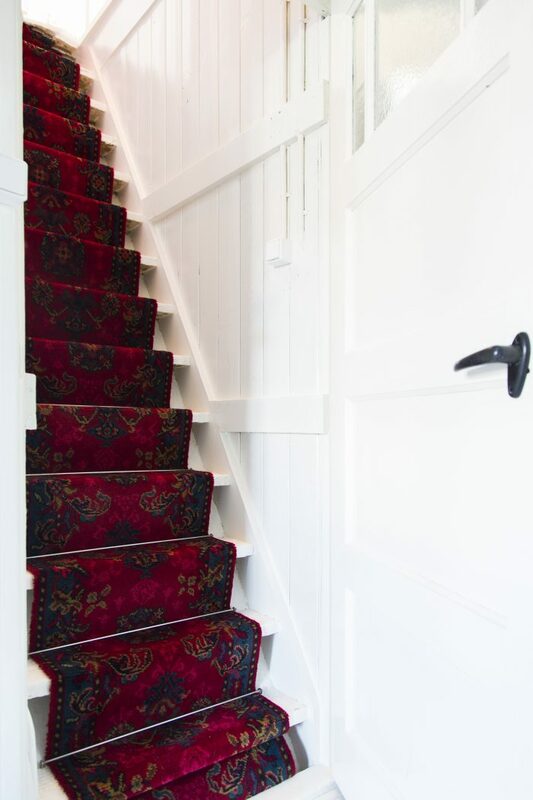 You can imagine our joy when we moved from a dirty, rough stairs to a pretty ánd comfortable one. This was without a doubt the perfect choice for us, since it matches our other persian rugs so well. Rugs galore in our house! 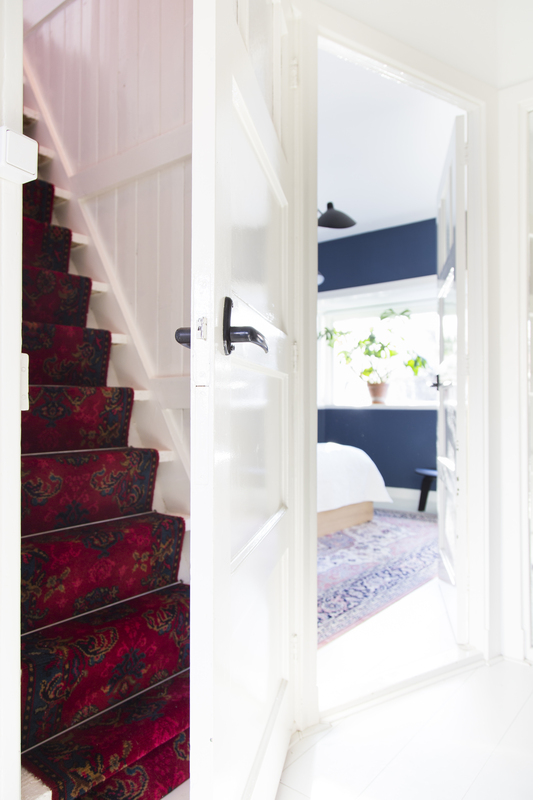 The persian rug in our bedroom can be found HERE and the 2nd floor landing rug can be found HERE. So thanks for reading another renovation update! More to come, since we are very busy making plans for the last room of our attic. Find all renovation updates HERE. Prachtig Marrit, deze traploper is van mijn ouders geweest, je hebt er wat moois van gemaakt, 😍love it.